I hate to create a break in the middle of Tena's letters, but a tweet from a fellow garden blogger got me thinking about Laura Ingalls Wilder and the Little House books. I read and reread those books many times when I was young, and even though I'm no longer young I still love them. I got all excited when I first learned that, thinking that Little House in the Big Woods must have been nearby. Well, no, the Ingalls family had moved on by then and the Little House in the Big Woods was far to the northwest in Pepin, Wisconsin. 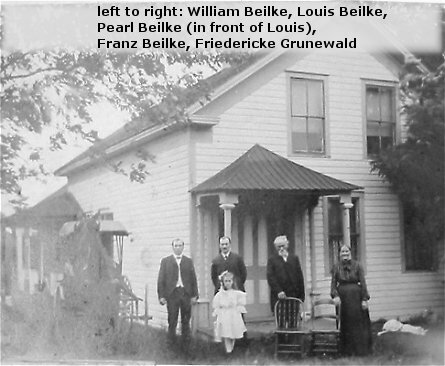 My great-great-grandfather, Franz Beilke, and family immigrated from Germany in 1867 (the year of Laura Ingalls birth) and eventually bought a farm in the next township west of Concord. While I was searching online for info about the Ingalls family, I can across something that I hadn't heard before. Charles Ingalls, as a boy, lived in Kane County Illinois, just east of where I lived in DeKalb County. 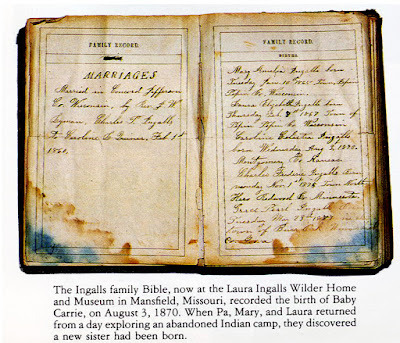 So I have a double connection to the Ingalls family, even though both are very tangential. But even more surprising (to me) is the volume of Little House material online. There are fan sites, blogs, and even Twitterers. A whole universe that I didn't know existed.